George W Culpepper, White, Married, born 1913 in California, residing in Los Angeles Co., California, enlisted as a Private in the US Army on 19 Oct 1942 in California. Daniel Andrew Culpepper and John Wayne Culpepper, were born in 1968 in Chambers Co., Texas, twin sons of George Winfred Culpepper and Bessie Marie Bender. John Albert Culpepper, RFD 1, Tyler, Smith Co., Texas, 39, born 7 Feb 1879, White, Farmer for self at RFD 1, Tyler, Smith Co., Texas; Nearest relative: Wife, Ellen Culpepper, RFD 1, Tyler, Smith Co., Texas. Tall height, Medium build, Blue eyes, Light Brown hair, no disabilities. Registered 12 Sep 1918, Tyler, Smith Co., TX. Burt Culpepper, Son, M, S, W, 1, ---, GA/SC/GA. Mary D. Culpepper, Daughter, F, Sep-1887, 18, S, GA SC GA.
Nora Josephine Culpepper, (no dates). Wiggins Culpepper, Son, M, 1 4/12, S, TX GA TX. Wiggin Culpepper, Son, M, 7, S, TX GA TX. P. E. Culpepper, 25 Feb 1845 - 28 July 1928 – Mother. date 12 March 1920 was incorrectly put on a bronze plate at his grave site. P. E. Culpepper (Mrs.), Smith Co., Jul 28 1928, 32425. Wiggins Culpepper, died 17 May 1953 in Cherokee Co., TX. Linda Elaine Culpepper, Female, born __ 1947 in Henderson Co., Texas, child of Leon Monroe Culpepper and Marion Josephine McDaniel. Judy Lyn Culpepper, Female, born __ 1948 in Henderson Co., Texas, child of Leon Monroe Culpepper and Marion Josephin McDaniel. James Albert Culpepper, Male, born __ 1951 in Harris Co., Texas, child of Leon Monroe Culpepper and Josephine Mariam McDaniel. Carl Edward Culpepper, Male, born 26 Nov 1947 in Smith Co., Texas, child of Wiggins Culpepper and Nora Josephine Johnson. Carl Edward Culpepper, 26 Nov 1947 - 27 Nov 1947. Carl Edward Culpepper died 27 Nov 1947 in Smith Co., TX. John Mastin Culpepper, Male, born __ 1949 in Cherokee Co., Texas, child of Wiggins Culpepper and Nora Josephine Johnson. Minard M. Smith, Boarder, M, Jul-1873, 26, S, TX TX GA, Manager-Sawmill. 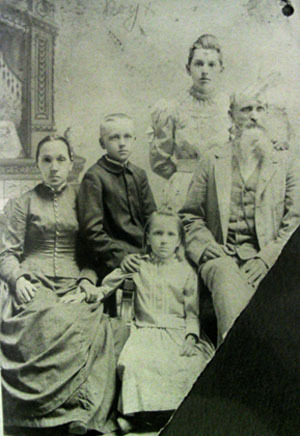 John Culpepper and Era Smith, 24 Dec 1895 in Camp Co., TX, Book 2, p. 311. Marion Archie Culpepper, RFD, Lafayette, Camp Co., TX, age 21, born 13 May 1897 in Lafayette, Camp Co., TX, Employed by J. R. Culpepper, Lafayette, Camp Co., Texas, Medium height, Medium build, Brown eyes, Brown hair, No disabilities. Registered 5 Jun 1918 at Camp Co., Texas. Lubert John Culpepper, RFD, Lafayette, Camp Co., Texas, age 19, born 3 Jan 1899, Caucasian, Farmer for M. M. Smith, Lafayette, Camp Co., Texas; Nearest relative: J. R. Culpepper, RFD, Lafayette, Camp Co., Texas, Medium height, Medium build, Blue eyes, Brown hair, No disabilities. Registered 12 Sep 1918 at Camp Co., Texas.
? Culpepper, Dau, F, 12/12, S, TX TX TX. Florence Culpepper, Dau, F, 1/12, S, TX TX TX. E-mail message from his grandson, Judge Ronald Culpepper: "My father, Alfred K. Culpepper,[was] a native of Texas (Camp County) until World War II... His father was John Culpepper, who, died, I believe in the 1920's. His mother Eva Culpepper died in the early 1970's or late l960's. I am not sure of her residence then, but she lived in east Texas near Longview." Mildred Culpepper, Daughter, F, Wh, 10, sng, TX/TX/TX. Gertrude Culpepper, Wife, F, 25, M, md@21, TX/TX/TX, Not employed. ED 106, sheet 10, line 98, boarder of Willie R. Walker. Marion Culpepper, Boarder, M, 23, S, TX TX TX, Laborer-Saw Mill. M. A. Culpepper and Gertrude Greeny, 8 Aug 1925 in Camp Co., TX, Book 7, p. 493. Lubert John Culpepper, Male, Married, died 30 Oct 1967 in Camp Co., TX. Jeffie Culpepper and V. W. Duncan, 27 Nov 1924 in Camp Co., TX, Book 7, p. 516. Lillian Culpepper and Oscar Martin married on 24 Apr 1925 in Camp Co., TX, Book 7, p. 503. Gladia Belle Culpepper, Female, died 4 Apr 1981 in Bexar Co., TX. Thelma Culpepper and Curtis Bazar, 19 Feb 1927 in Camp Co., TX, Book 8, p. 109. Albert Bazar, Male, died 12 Aug 1976 in Gregg Co., TX. Alfred K Culpepper, White, born 1913 in Texas; Resides in Camp Co., TX; Enlisted 8 Apr 1942 at Tyler, TX in the (Unk Branch) as a Private; Education: 1 year of high school; Occupation: Automobile Serviceman, Single, with dependents; Height: 67 in., Weight: 153. Washington State Death Index: "Alfred K Culpepper, SSN: 456-28-5612, Place of Death: Pacific, Residence: Tacoma, Age: 68 years, Gender: M, Date of Death: 23 Oct 1981, Certificate: 024559. J. Culpepper, born 30 Dec 1919 in Camp Co., Texas (This is actually the birth record of Mildred Florence Culpepper, daughter of J. Culpepper). Mildred Culpepper and Orville Parker married on 13 Nov 1939 in Camp Co., TX, Book 9, p. 390. Mildred Frances Culpepper and Orville Crouch Parker are the parents of Herbert Troy Parker, Male, born __ 1942, and Michael Dwane Parker, Male, born __ 1948, both in Gregg Co., Texas. Mildred Culpepper, 74, married Olvis P Hicks, 75, on 7 May 1994 in Gregg Co., TX. 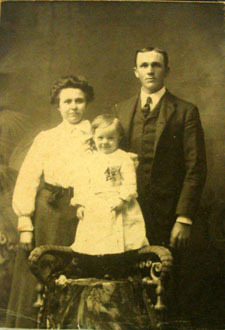 William H Culpepper, White, Male, married Lola May Jarvis in 1898 in Pasquotank Co., NC. Mildred N. Culpepper, Daughter, Aug 1899, 9/12, S, VA/VA/VA. Robert Chisem 'Bob' Stewart Jr., Bob Stewart FTM file, Genealogy.com: Family Tree Maker Online, Feb 2000. Biography* � A James Culpepper came to Virginia from abroad several times, and may have been the son of John Culpeper (born 1606). He is mentioned again as arriving in Virginia in 1667 or some time prior (Cavaliers and Pioneers, Vol. II, p. 23, Patent Book 6, p. 80, one of the 52 headrights of Anne Tofft or Toft. Anne was one of the more interesting characters in early Isle of Wight Co. VA history. And James is mentioned a third time as arriving in Virginia in March 1670/1 or earlier (Cavaliers and Pioneers, Vol. II, p. 90, Patent Book 6, p. 348, one of the 85 headrights of Mr. John Prosser and Henry Creighton. Biography* � Only one reference to Dennis Culpeper has been found in early Virginia records. In 1664, or sometime earlier, he came to Virginia. In August 1664, Dennis was one of the 145 headrights of Mr. Richard Webley, Robert Davis (a ship captain), and Thomas Freshwater. A Robert Culpepper was also one of these headrights (Cavaliers and Pioneers, Vol. I, p. 430, Patent book 4, p. 106). Given the mortality rate of the time period, and the mortality rate in early Virginia, one might suspect that both this early Dennis, and Robert, might have died young, without descendants. Or else they returned to England. In any case, neither of these men seems to have left any futher records in Virginia or elsehwhere, which have yet been discovered. Both Dennis and Robert were most likely young men in their twenties in 1664. … Henry Culpeper and Elizabeth my wife do for our heirs, Executors or Administrators; assign over all our Rights interests and title of ye said mentioned bill of sale of land … unto John Everidge his heirs Executors administrators or assignees according to all intents and purposes as John mentioned, Jn witnessed the … of .. Law ... unto ... our lands and …. Ye 16th day of October 1671. Biography* � Elizabeth's ancestry is uncertain. If Elizabeth was a Green, then Elizabeth's son Henry is mentioned in her mother Jean Green's will, in a section mentioning bequests to grandchildren, but Jean does not specifically state that Henry was a grandson, or mention his relationship to her at all. Elizabeth might also have been a White. She might possibly have been the daughter of Thomas White (1599 - 1665) who is known to have had children John, Elizabeth, and Thomas. E-mail to Lew Griffin from Mike Marshall, http://wc.rootsweb.ancestry.com/cgi-bin/igm.cgi?op=GET&db=mrmarsha, e-mail address. John Brayton, compiler, Transcription of Lower Norfolk County, Virginia records, v. 1. Wills & deeds, Book D, 1656-1666, Memphis: J. A. Brayton, 2007, Repository: LDS Family History Library - Salt Lake City, Call No. US/CAN Book 975.55 P2b v1. E-mail written 2004-2008 to Lew Griffin from Jim White, http://jimserver.net, e-mail address. Research (See: http://gen.culpepper.com/archives/va/norfolk1661-1724.htm) conducted in 2012 for Warren L. Culpepper by Barbara Vines Little, CG, FNGS, FVGS, Dominion Research, PO Box 1273, Orange, VA 22960, Phone 540-832-3473, e-mail address. Hayes FTW file, Randall 'Randy' Hayes to Lew Griffin, 1999.